Everyone loves sushi! But in Japan, sushi is usually reserved for special events or the occasional splurge. The following five foods are consumed in homes around the country much more frequently, and should definitely be on any traveler's "must try" list when visiting the Land of the Rising Sun. 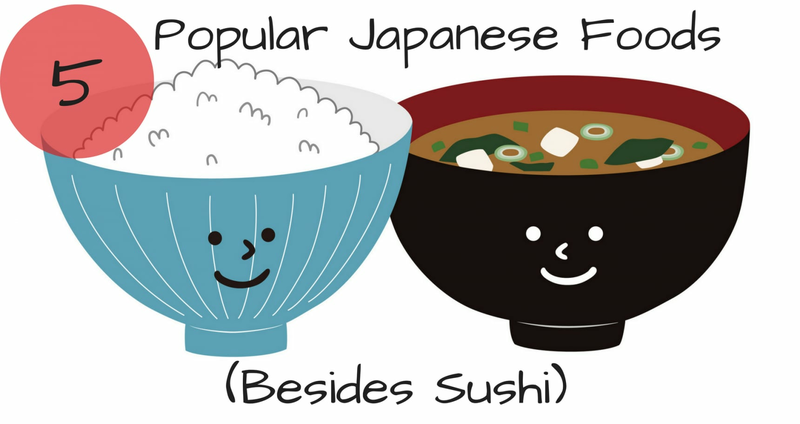 Surprisingly, one of the most frequently consumed foods in Japanese homes isn't Japanese food at all! Even though gyoza dumplings originated in China, they're one of the most popular components of daily meals for Japanese people, and remind them of their mom's home cooking. Although there are many brands of pre-packaged frozen gyoza, making them by hand with children at home is a popular tradition. 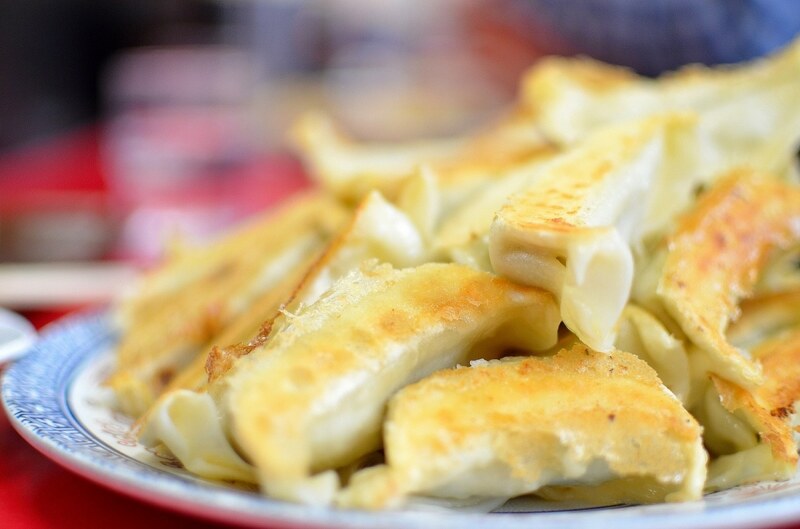 Many people feel nostalgia for their childhood spent making dumplings with their parents or grandparents. Gyoza are also a popular side dish with ramen, so be sure to order some the next time you're slurping down! Miso soup is a staple of Japanese cuisine, and many Japanese people consume it daily. It's so popular that there are tons of ready-to-eat brands sold everywhere, even at convenience stores. Tonjiru is a riff on miso soup, made with pork and other vegetables, and can be found on many restaurant menus throughout the country (it's even one of the few dishes available at the top of Mount Fuji!). Part of what makes tonjiru so popular is that each family has their own particular recipe, so no two bowls are quite the same. It's especially popular in winter, when a bowl of this hearty soup reminds people of their childhood, and warms them physically and emotionally. Rice is the principle ingredient in the Japanese diet, and basically everyone has a rice cooker at home. Takikomi gohan is a dish where rice is cooked with various ingredients—typically vegetables and fish—and some type of stock slowly in the rice cooker. It's a dish that many people associate with home cooking, especially because it can be quite time consuming to prepare, and isn't something people usually make if they live alone. It's especially popular once the weather starts to cool off in autumn, and seasonal mushrooms are a favorite ingredient in takikomi gohan. Tamagoyaki is a Japanese egg dish that is rolled over and over again, unlike an omelette, which is typically only folded once. Although it seems simple, it actually requires quite a bit of skill to make. It's a standard Japanese breakfast dish that is also included in many bento boxed lunches, and can even be found at conveyor belt sushi restaurants. There's an ongoing debate about whether it should be sweet or savory, and people generally prefer the taste they grew up with at home. It's said to be a sign of true love when someone is able to intuit their partner's preference for sweet or savory tamagoyaki in a new relationship. Although quite different from its counterparts from mainland Asia, curry has a special place in the hearts of many Japanese people. Japanese-style curry and rice is a bit stickier and thicker than Indian-style curry, and is usually sweeter and milder than Thai curry when it comes to spiciness. But Japanese curry is another comfort food with as many iterations as there are families in Japan; everyone has their own special way of preparing it, and their own preference for ingredients. Whether it's a dark, thick and rich beef curry, a spicier vegetarian curry, a ground chicken curry with apples or honey poured in for a little sweetness or anything in between, there's no wrong way to make it! Why not try experimenting on your own, to see what delicious combinations you can come up with? Which to Choose: Hida Takayama or Furukawa?